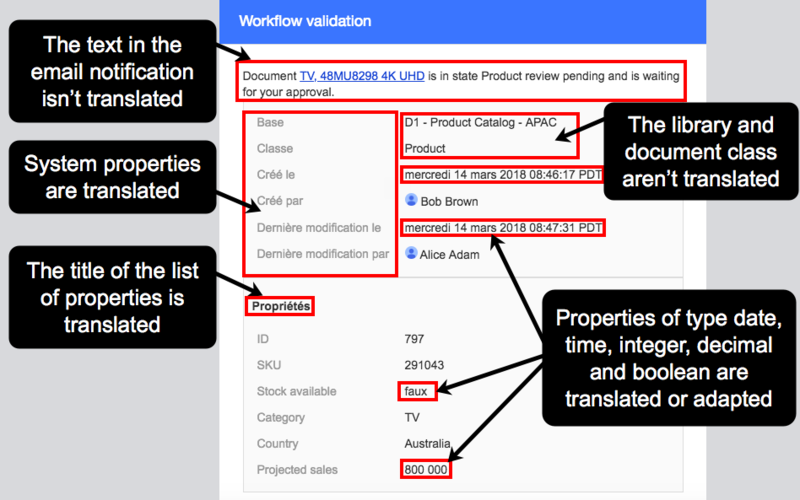 As an administrator, you can choose to translate and adapt the format of the AODocs properties in workflow emails according to a selected language. You can also set the time zone at the library level. This allows users to receive more understandable and relevant workflow notification emails according to their language and location. The Locale email notifications setting under General settings in the library configuration interface manages these options. Note: The default value is the language used when the library was created. If the language used when the library was created isn't in the list, English US is selected by default. 4. In the time zone Locale email notifications drop-down menu, select a time zone for your library. You can set the time zone and the language for Locale email notifications. When you send email notifications from your library, they contain time and date fields, such as when the document was created and last updated. In your email notifications, the display of these time and date fields uses the time zone selected in Locale email notifications. Note: This may be different from the time and date displayed in the document itself, which uses the time zone from your computer settings. 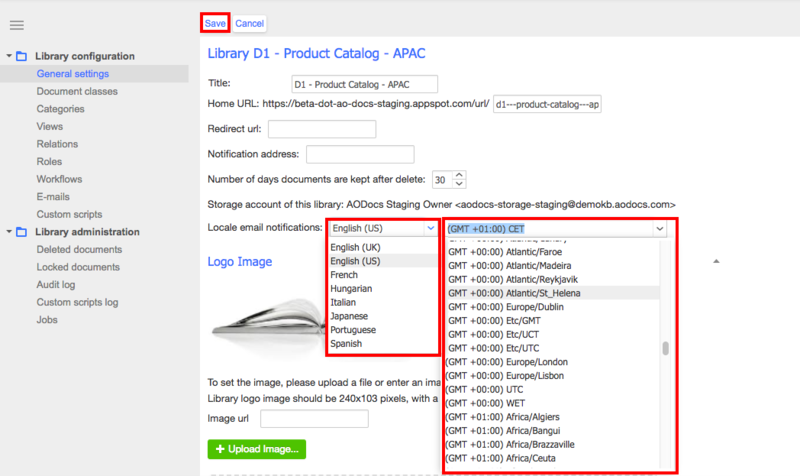 The names of system properties included in emails sent from your library are translated into the language selected in Locale email notifications.